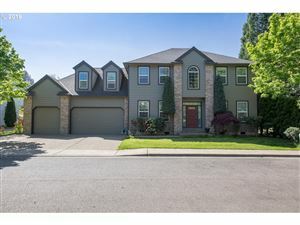 Stunning Sellwood English plan. Den, full bed/bath on main. 5 bedrooms, Master Retreat and Deck, amazing master bath with his/hers closets, vanity, 15X16 bonus room, large kitchen island perfect for entertaining, storage in garage, covered patio. AC, blinds, landscaping, home automation. Wi-fi certified home controlled by Amazon Alexa. Interior pictures of similar Model, not actual home. Models open Sat-Tues 11am-6pm, Fri 1-6. This content last updated on 4/25/19 3:16 PM PDT. Some properties which appear for sale on this web site may subsequently have sold or may no longer be available.